How Much Do Delegates Learn At Your Conference? Have you ever focused on the actions of delegates at your conference as they listen to a presentation? It’s easy to fix your attention on the high-profile presenter you’ve engaged for the event – but what are the delegates doing? Are they actually engaged by the content? If they are taking photographs the result is often an unsatisfactory (if not illegible) blurred image that doesn’t have any accompanying context of what the presenter was saying about the slide. If they are taking video they are going to a) get a sore arm b) annoy delegates sitting behind and c) possess and possibly distribute conference content in a manner you have little or no control over. What are the results of that activity? The delegate gets a sub-standard record and you the organiser are left somewhat in the dark as to what presenters or what parts of the presentation content spurred them to capture the moment. There is of course an opportunity here to “get out in front” of such activity and at the same time regain some degree of control over the content. Capturing the presentation on video can really add extra value for delegates, enabling them to review the critical points at a later date – to really absorb the key detail of what was presented and perhaps share that learning with colleagues and peers. Delivering recorded presentations also enables you to extend the value of the event – to “continue the conversation after the event is over”. Many organisers open up their content to a broader audience post event (ie people interested in the content that did not attend). 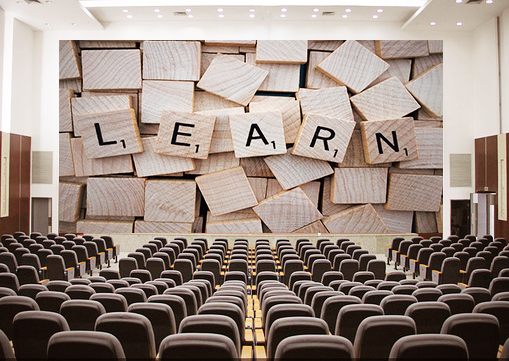 If your content is going to deliver something new for the audience to learn from then it’s really worth thinking about how that learning can be reinforced for delegates. If you are communicating a specific message how well is that message received, understood and retained? Do the delegates have to skip through hours of content to find the relevant key moments they need to review? What about the data you gather on the presentations? Which of your presenters are really engaging people? What points within those presentations are delivering real learning? Standard Video Analytics will only give supply so much data and this approach doesn’t assist or improve the delegate experience. If you want to super-charge delegate learning and at the same time ensure your key messages are driven home to your audience talk to us at SonorPlex about our unique “Mark, Review, Share” content mark-up solution. Delegates can mark their key moments live and then review the specific points of interest on the video of the presentation post event. This delivers a new learning experience for your audience and at the same time provides a new layer of detailed content analytics for you the event organiser. Delegate Interaction and Audience Response are key areas of conferences and events that have grown significantly in recent years due in many ways to the deployment of “Bring Your Own Device” (BYOD) technology platforms – SonorPlex delivers a unique BYOD service that also includes the more “traditional” interactions such as Q&A, Voting and Evaluation. Contact us to discuss how we can help you deliver a premium experience for delegates at your event, deliver the key messages and you the organiser access to in-depth analytics.